HOW FAR DOES UBS FULL SERVICE FOR CRIMINAL CLIENTS EXTEND? Alpha reports: “Connecticut hedge fund sued UBS, contending that it knowingly sold toxic mortgage-backed securities to institutional investors but never disclosed that information. … In some of the emails, the investment firm’s employees describe the $35 million in collateralized debt obligations sold to Pursuit in summer 2007 as ‘crap’ and ‘vomit.’ … At first glance, it might be easy to chalk this up, as simply another case of Wall Street bankers peddling securities they privately thought was junk. But the big revelation unearthed by Pursuit’s lawyers is the extent to which credit rating agency Moody’s Investors Service (MCO) shared information with UBS about its impending decision to lower its ratings on some of the CDOs (collateralized debt obligations) the firm was selling. … The judge didn’t call what UBS was doing insider trading. But that’s one way to think of the critical allegation in this case. And that’s why the Pursuit case could be bad news not only for UBS, but for other investment banks that packaged and sold exotic securities that were dependent on getting a stamp of approval from one of the major credit rating agencies.” J2 Allegedly, UBS Weil/Hoekstra office ‘encentivised’ the UBS broker sales force to sell Lehman and AIG stocks to unsuspecting clients, especially US senior citizens, just before the public was informed of their downfall. UBS was a bailout AIG counterparty … An unsuspecting UBS Florida client under the mandatory UBS full service client asset control was “cleaned out” when UBS put her into both Lehman and AIG just before their downfall. The UBS salesmen allegedly get double comish (commission) as well as other incentivization. The successful Florida realtor client was allegedly told by the salesman that it would be impossible for her to sue UBS, for her to just accept the loss and live with it or UBS will take you to court in Utah. UBS picket sign on building. Reuters reports: “The Swiss Justice Ministry said on Wednesday that Swiss law prevents UBS from handing over client information and the government would seize UBS client data, if necessary, to stop that happening … The Swiss statement came in response to a filing by the U.S. Justice Department last week asking the Miami court to enforce tax compliance with the full weight of U.S. law… In its brief last week, the Justice Department said that UBS had already acknowledged that its bankers committed ‘very serious crimes on U.S. soil’ and had therefore subjected the bank to the full jurisdiction of U.S. law.” J3 UBS continues to commit crimes against both clients and governmental agencies, despite their United States government probationary status. Foreign Policy reports: “Gaddafi first mentioned the idea of dismemberment during the G8 summit in Italy in July. Switzerland ‘is a world mafia and not a state’, he said, adding that it was ‘formed of an Italian community that should return to Italy, another German community that should return to Germany, and a third French community that should return to France’.”J5 We congratulate Colonel Gaddafi on his insight we are attempting to portray. UBS could surely be called an integral part of the Empire of Evil. UBS USA CO-CHAIRMAN RAOUL WEIL, STILL! Embassyofswitzerland.com reports: “A UBS AG reliable source has said Co-Chairman Raoul Weil of the UBS USA Chairmen Weil/Hoekstra duet is still very active in UBS USA albeit from a Zurich UBS AG office. We have reported in the past that Weil has allegedly not changed his co-running of the UBS USA operation in the slightest. UBS criminal practices in the US are a creation of Weil and most still go unhindered. Like another fugitive from US Justice Marc Rich running his USA operation from Switzerland, Weil says it is easy and you do not have to worry about stupid DOJ bureaucrats hindering your operations.” J8 It is sad to find UBS accepting US bailout money while allowing fugitives from US Justice to continue their UBS criminal careers within the US from Switzerland. Why are Hoekstra and the others at UBS USA allegedly allowed to deal with this guy? How can this be justified, other than by incentivisation of Washington political operatives? South Florida Business Journal reports: “Close to $400 million of the assets at UBS were contributed by Tanner’s clients and three days into the Las Olas Capital chapter, approximately 95 percent of his clients have agreed to migrate over … UBS declined to comment, as is the company’s policy with departures. 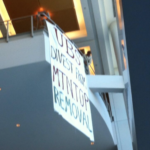 J9 Reliable sources have confirmed UBS alleged unethical treatment of Clients was a factor. Huffington Post reports: “These are just a few of the details about Ty Warner, the billionaire creator of the Beanie Baby, revealed in a document filed last week by Warner’s lawyers aimed at reducing his sentence for tax evasion. … Warner, 69, admitted in October that he failed to report income from a UBS account in Switzerland. He plans to pay a $53.6 million fine, according to Bloomberg and faces a prison sentence of up to five years.” F10 From information and belief, UBS turned in Warner to enhance the UBS position with Congressional oversight. One can see a UBS pattern of turning in UBS salesmen, Clients and various entrusting others for USA criminal violations initiated by UBS. Brazzil Magazine reports: “the Brazilian federal police unleashed a concerted raid … using 280 federal agents in three states to break a criminal scheme concocted with the help of Swiss financial institutions to launder Brazilian money and send it overseas. … Operation Kaspar II (A deliberate slight to UBS AG Chairman Kaspar Villiger.) carried out 21 warrants of arrest and 44 search and seizure orders in the states of São Paulo, Bahia and Amazonas. Among those detained were Swiss banks UBS and Credit Suisse officials as well as an executive of US-based insurance giant AIG.” J11 We see UBS and AIG have been linked in criminal activity internationally. Both have been rewarded by their Washington political operatives with US tax payer bailouts over and above their criminal earnings. Washington has yet to investigate the UBS sanitizing and purging of the UBS mortgage department just before the Swiss government bailout. Business Insider reports: “one of the reasons AIG’s counterparties weren’t being revealed was a good number of them are foreign banks. And when (US) people discover that their tax dollars are going to foreign banks via AIG, they’ll have a conniption fit … among the known parties is UBS.”J12 UBS was allegedly buying AIG stock for unsuspecting UBS full service clients just before AIG crashed. UBS Washington political operatives were allegedly instrumental at incentivizing the AIG counterparty bailout giveaway. In Washington they call it “bringing home the bacon”. We think of the poor US taxpayer paying UBS for their manipulations. Financial Times reports: “The official policing the $700bn Tarp fund says he is investigating whether banks have “cooked their books” to secure bail-out money.”J13 We do know that UBS sanitized their mortgage records before the Swiss bailout but do not know at this time if that was also in expectation of another bailout from the United States Treasury as AIG counter-party. We found your site exposing UBS on a UBS link. We noticed you’re not on many of the other popular kids sites. Kids spread the word to other sites because they know how. You obviously don’t have any young people on your staff. Why not hire a teenager like me to get you on some popular world sites? Your issues read like a thriller. You’ve gotta tell the world of UBS. Let me tell you there many in government taking an interest in your newsletter. We knew it was a matter of time before someone caught up with the UBS Industrial Bank. They’ve been blight on our integrity. They’ve besmirched our judicial system and our State. Utah banking regulators have consistently had complaints about UBS operations or lack thereof. We apologize for those in the Utah UBS Industrial bank mixed up in criminal issues against Florida senior citizens. We want you to know that the UBS Industrial bank has caused Utah a great deal of harm and is now being investigated by the Federal Government. We’ve been told your group had something to do with that. We know there is at least one complaint generated by Florida senior citizens working its way through the system. Let me tell you, we will do everything to assist these unfortunate UBS victims. We are writing an extensive article in Brasil on your embassyofswitzerland.com site for our magazine. We want it so good that the World media will pick it up. We notice embassyofswitzerland.com and fazenda.org are linked to internalrevenue.com. Which of these sites should we give recognition? We think its funny because fazenda is our tax authority. Please look at our recent submitted article. You guys are great and truthful. Call us. Don’t you think you have an obligation to report all of these UBS acts to the authorities? You just tell us of these horrible people but do nothing to stop them. How can such a measly corrupt Swiss government and UBS do these things against our Country? You are what are bringing down the USA because you don’t ask for criminal charges. It is depressing reading these things issue after issue. We wrote to you before and saw that you published our email. We are now writing to say we have passed the word of your site to not only our brokerage but to others. The word travels fast in our business. We deal with speed in our transactions. We can truly say that you are assisting the demise of UBS in this country. Is there any way you can give us the names of the HNW and UHNW clients of UBS? We can give you a finder’s fee for each one of those clients. I am a manager at one of the UBS competitor firms. I read your issues with interest and send them on to our associates and customers. I have noticed you don’t have dates, why is that? It is frustrating waiting for your next issue. You guys are great and truthful. It seems your issues are getting deeper and deeper into the workings of UBS. Is this because you have more and more UBS reliable sources? Few in the media business have this depth of UBS knowledge. When is the book coming out? Can we assist you? My Husband and I have been UBS stockholders all of our lives. We inherited UBS stocks and increased there numbers over years. We are selling now all our stocks because we feel betrayed by UBS and our Swiss government. We can see these things you write about have secretly been going on a long time in Switzerland. We tell of embassyofswitzerland.com to other Canton (region) citizens. We print it for others who don’t have computers. Swiss citizens love what embassyofswitzerland.com is writes. Utah independent investigators of the Lehman and UBS Utah Industrial Banks have said they abused their lightly regulated to self regulated Utah Industrial Bank FDIC privileges. This has caused unwanted transparency demands and scrutiny of all Utah Industrial Banks competitive advantage over other US banks. Investigators have discovered many archived Lehman and UBS cases missing from public record file archives. In one important UBS Utah Industrial Bank case # 080901999 3rd District Court of Utah marquees a New Jersey UBS out house lawyer named Anthony Borrelli (a.k.a. AJ). This case has been missing from the 3rd District Court of Utah public records archive files for more than one year and was crucial to a UBS Florida senior citizen client’s defense. It is common knowledge with Salt Lake City locals that 3rd District Court has a special relationship with the Utah Industrial Banks for processing out-of-state client victims, especially senior citizens from far off Florida. In fact, locals refer to the 3rd District Court of Utah as the “judicial slaughterhouse”. We are getting a glimpse of how the processing operation occurs with our noted Florida senior client victims. UBS Utah Industrial Bank and the 3rd District Court brazenly continue violating United States Federal and Utah law knowing they are being watched. This is common human behavior with those successfully flaunting the law.